THERE ARE LOTS of factors that add up to create a successful career, not matter what your trade or industry. Perseverance, hard work and sheer luck are often cited as some of the magic ingredients to climbing the ladder and getting ahead in the workplace. That said, soft skills are often an underrated element in the mix that the most influential and successful people bring to the table. Let’s take a look at what some of the world’s biggest heavy hitters in business have to say about their career wins. Whether you’re an entry-level employee fresh out of college or a CEO, you don’t know it all. Admitting this is not a sign of weakness. The strongest leaders are those who are lifelong students. My advice to young workers and even mid-career managers is this: be as unselfish as possible. That means not only helping others with their jobs, but actively training people to do your job well. This helps your co-workers, helps your company, and helps you. Chen penned these words of wisdom in a LinkedIn post, which you can read in its entirety here. She expanded on this to Business Insider, telling them that there’s one smart reason to get out from behind your computer monitor come lunchtime: networking opportunities. There is no straight path to where you are going. If you try to draw that line you will not just get it wrong, but you will miss big opportunities. We talk about budgets; we talk about planning your finances… But what a lot of people don’t do is plan out the next 12 to 18 or 24 months of their careers. Whatever career you’re in, assume it’s going to be a massive failure. That way, you’re not making decisions based on success, money and career. You’re only making it based on doing what you love. More off-kilter/liberating (depending on your point of view) advice from Chesky can be found in this 2014 New York Times Q&A. Top leaders should put themselves in other people’s shoes and listen. If you listen to people, whether they are from the US or Spain, Bangladesh or Brazil, Mexico or Russia, whether they are rich or poor, white or black, male or female, old or young, they make you grow, they keep you innovative, they keep you active. You have to ask a lot of questions and you have to really listen to the answers. Don’t be thinking about the next question, and don’t be thinking about what you’re having for lunch. Really listen, because in every answer there are at least three more questions you want to be asking. Looking for career advice? If you’re looking to succeed in your career, a UCD Smurfit School MBA could be for you. This highly-ranked MBA programme offers a dedicated MBA Career Development team to define your journey after qualification – watch the video here. UCD Smurfit School’s 2020 Strategy aims to inspire the next generation of leaders. Fora is currently partnering with UCD Smurfit School to offer one reader an MBA scholarship worth up to €34,500. Email “8 of the world's most successful people share how to get ahead at work”. 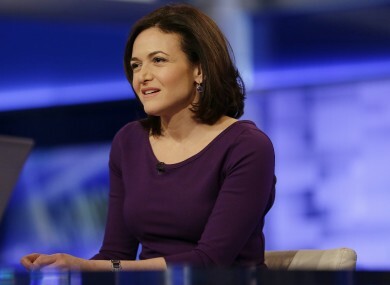 Feedback on “8 of the world's most successful people share how to get ahead at work”.